SafeBoda is a league of professional boda drivers who came up with a reckoning solution to improve safety and spur professionalism to the motorbike industry. As a matter of fact, the SafeBoda community has attracted more investors to focus on the fast rising industry and Uber, Taxify, Dial Jack and Pikime are some of the ride hailing services trying their take in the SafeBoda dominated wing. Well, Its 5 years since SafeBoda was born from Kyebando (A Kampala suburb) and the section of boda hailing drivers celebrated the achievement during their bi-annual party that saw the Minister of Kampala commending the great work and exclusivity exhibited by the reckoning boda hailing camp. 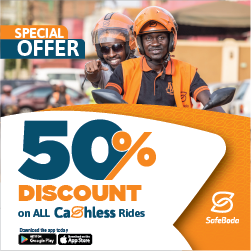 According to Ricky Rampa Thompson, Safeboda was founded as a team of professional drivers who wanted riders to have a safety appeal on all trips within Kampala. The group started small with only 50 drivers in 2014 and the camp comprises of over 8,000 drivers who were all present at the bi-annual celebrations. 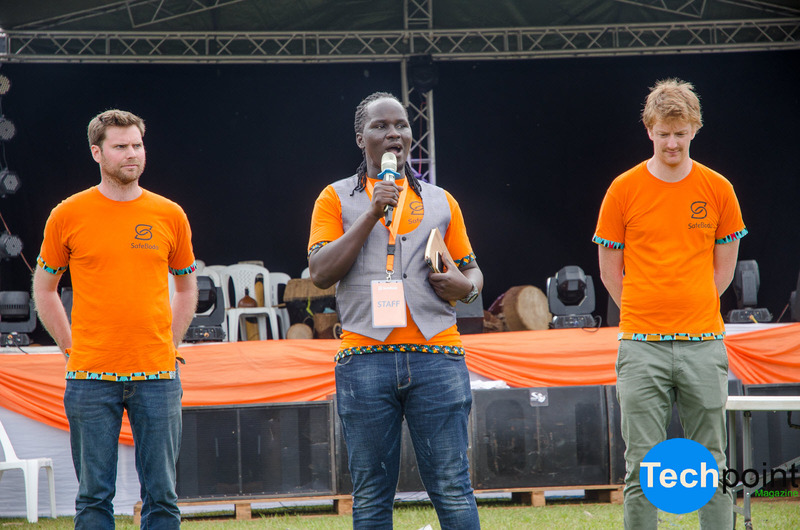 Safeboda is one of the most successful startups in Uganda and its by no doubt that Tugende decided to partner with this camp to make motorbikes more affordable to hailing drivers. However, Safeboda aims at growing beyond Kampala and strengthening its position by providing more professional and better services to all customers. During the bi-annual celebrations, the 3 co-founders Maxime, Ricky Rapa, and Alastair Sussock praised their 5-year performance and inked plans to launch to more African cities after their recent rollout in Kenya. In Nairobi over 600 drivers are registered to the service in a period of less than 6 months. Given the fact that SafeBoda drivers comply with all traffic laws and continue to exhibit their professionalism by making sure customers are safe with a helmet per trip. The Minister of Kampala in return promised support to the boda hailing camp by looking into plans to create separate motorbike parking zones as the fate is with cars and also look into the costs involved to acquire a 2 Wheel permit with Government. 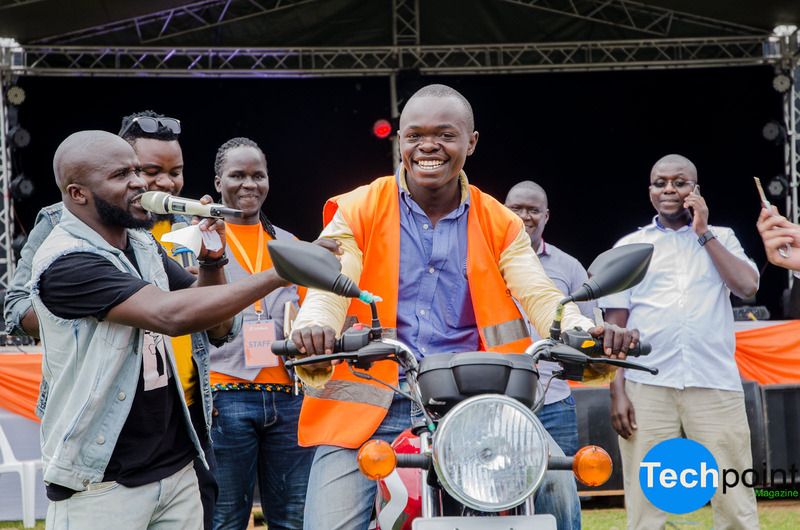 Unlike any other boda hailing service in Uganda, Safeboda drivers are treated to a bi-annual party each time the ride-hailing giant feels like its time to celebrate the drivers. To this, Rapa commended the drivers and promised to improve their payouts to further improve the comfortability rate of customers in return. Lucky Safeboda drivers Zziwa Francis and Musinguzi Crispus cruised away from the party with brand new TVS motorbikes won through a customer appreciation draw. Additionally, other drivers won Gas Cylinders and FICO insurance covers as complimentary tokens for another great year ahead. Hence, SafeBoda drivers will continue receiving the best benefits from the company now that evening and morning trips have slightly higher fares than day trips. In a nutshell, we expect to see stiff competition between SafeBoda, UberBoda, Dial Jack and the underrated Taxify Boda in 2019. Now that the Orange branded drivers are on the hunt to dominate another colorful year, the fate of competitors in the same wing as SafeBoda lies between improving service delivery and trying to compete with the service soon achieving the 9,000 drivers mark.